New features, gadgets, and technology are no longer unique to luxury vehicles. Facebook check-in with your car or live weather and traffic feed have become a commodity in this segment. With less emphasis on ‘humanization of technology’. What does it mean for me as a driver to have checked-in a place with my car? if there is traffic on the way can my car take a step further than just recommending a change of route? Can my car understand the meaning of being ‘late’? 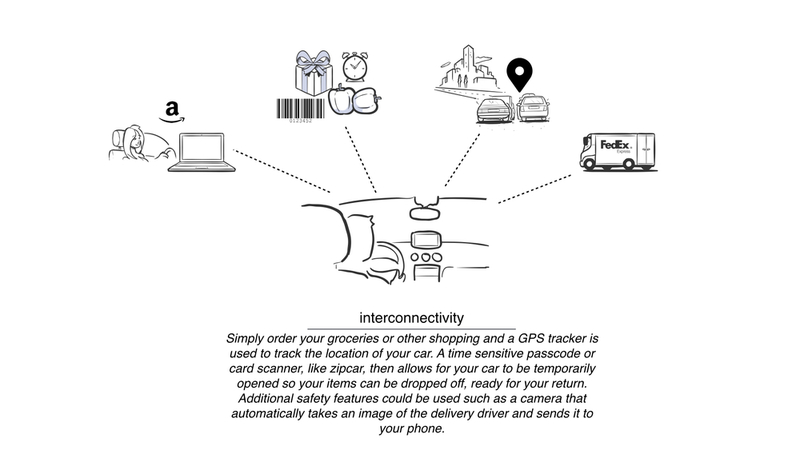 Can my car be ‘LIFE contextual aware’? Majority of the shapes and designs used in the car are around curves. Angles and harsh edges are rarely seen in interior and exterior. I used the logo as an inspiration to design the shape of the Oracle. I mainly focused on the edges and angles for creating a juxtaposition. 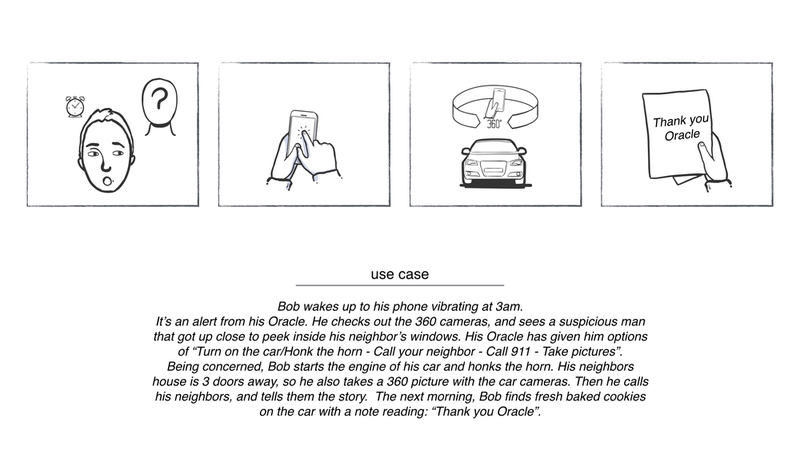 The Oracle is a fully contextual-aware device that doesn’t just bring ‘connectivity’ to your car, it understands the ‘context’ behind every event or command. It is a fully voice activated device that thinks and imagines situations as they might be, more so than focusing on how things simply are.